I have been going through the first volume of Spurgeon’s sermons this year and recently read his excellent sermon on the Holy Spiirt as the Comforter of His people. At one point, Pastor Spurgeon speaks of the sufficiency and the finality of inscripturated revelation. 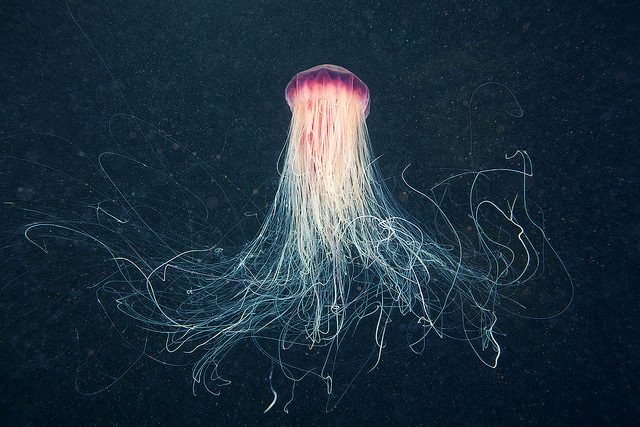 We have hundreds of “jelly-fish” clergymen, who seem not to have a single bone in their body of divinity. They have not definite opinions; they belong to no school or party; they are so afraid of “extreme views” that they have no views at all. We have thousands of “jelly-fish” sermons preached every year, sermons without an edge, or a point, or a corner, smooth as billiard balls, awakening no sinner, and edifying no saint. We have Legions of “jelly-fish” young men annually turned out from our Universities, armed with a few scraps of second-hand philosophy, who think it a mark of cleverness and intellect to have no decided opinions about anything in religion, and to be utterly unable to make up their minds as to what is Christian truth. They live apparently in a state of suspense, like Mohamet’s fabled coffin, hanging between heaven and earth and last. Never was it so important for laymen to hold systematic views of truth, and for ordained ministers to “enunciate dogma” very clearly and distinctly in their teaching.